Existing customers are easier to sell and cheaper to retain. Increasing customer retention by just five percent can increase profitability by 75 percent. “The person who helped me was nice.” “They did not pass me around.” “The problem was resolved quickly.” These are the types of comments companies should want to hear from their customers. Half of consumers give a brand only one week to respond to a question before they stop doing business with them. Happy, efficient employees who genuinely care about problems brought up by customers will ultimately lead to happier customers. 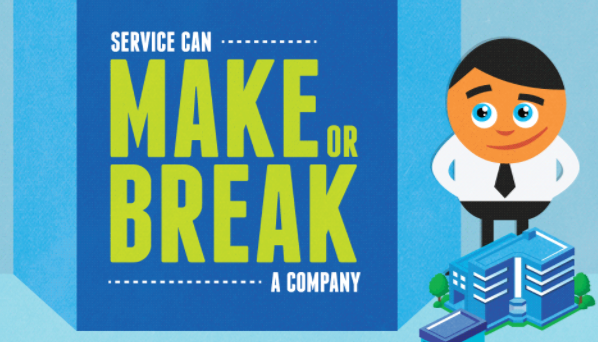 To learn more about the amazing importance of offering quality customer service, check out the infographic below.